I think you can tell a lot about a person by what they spend their money on. And for me, this has certainly changed over time. A few years ago, if you’d given me £100 I would have spent it all on dresses, with maybe a pair of shoes thrown in for good measure. Nowadays, my two wardrobes and chest of drawers are full to bursting and I give away more clothes than I buy. And maybe a year or so ago I would have spent it on pretty homewares (a sure sign that one is getting older) – some accessories for the mantelpiece, kitchenalia or a pretty vase or candle. But now our house generally is pretty full and I try and keep it relatively clutter free. So what do you spend your money on once you’ve basically got all of the things? For Tom and I (and Tom has never really been interested in ‘things’ anyway), I think we’d both say travelling. Not necessarily the backpack, braided bracelet, country-hopping type travelling, but just visiting new places we haven’t seen before. 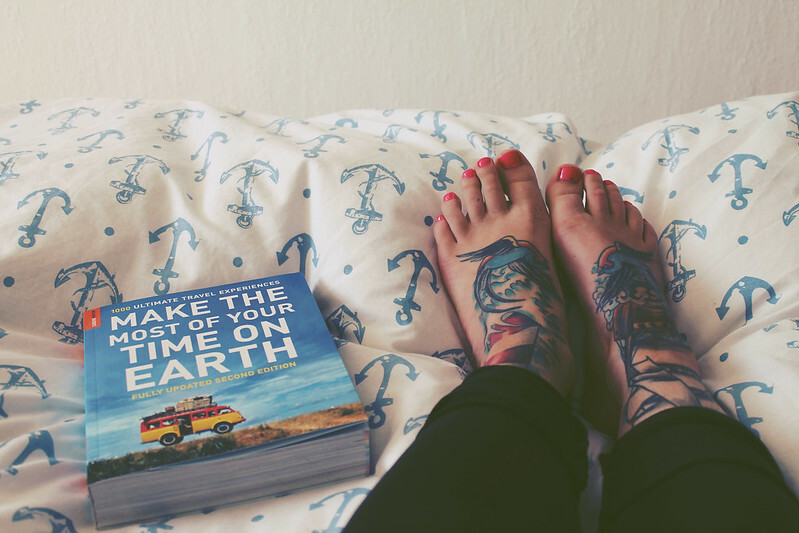 As I write this, I’m looking around at last-minute things that need packing for our USA adventure that we leave for on Tuesday (and when you read this, we’ll be on our way there!) And this week we booked a hotel for our honeymoon in Bali next April (we’re going for a month to make it a real adventure). Feeling very lucky (and pretty broke) right now! Most of our adventures tend to be a little less grand than 2.5 weeks on the West coast of the USA or a month in Bali however. It’s more likely that you’ll find us away camping for a few days or on a short break in Britain or Europe. For this reason I’ve been hunting for the perfect weekend bag for some time – something classic and stylish and (after a bad experience with a wheely suitcase on the Underground recently – SO many stairs) something that I can sling over my shoulder. 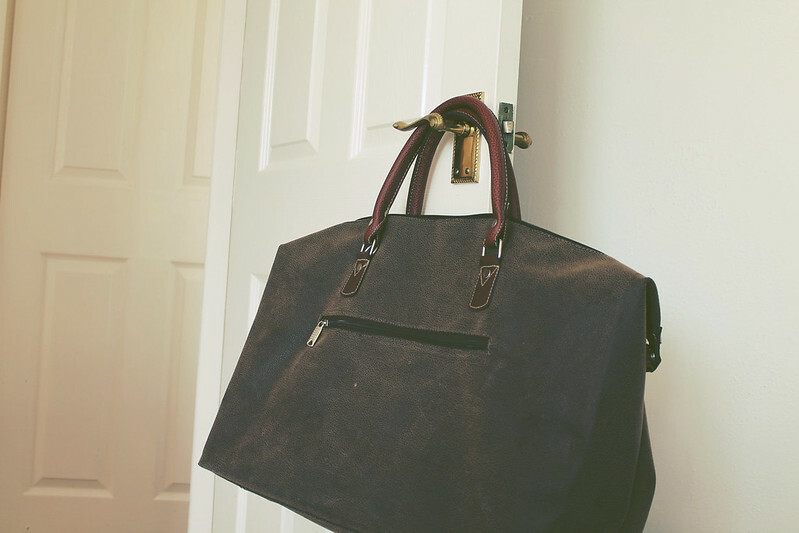 The Great Gift Company kindly offered me a couple of picks from their lovely website recently and I rather fell for this Weekend Travel Bag (£39*). It’s actually from the ‘Him‘ section of the gifts but I think its simple design means it’s pretty unisex. 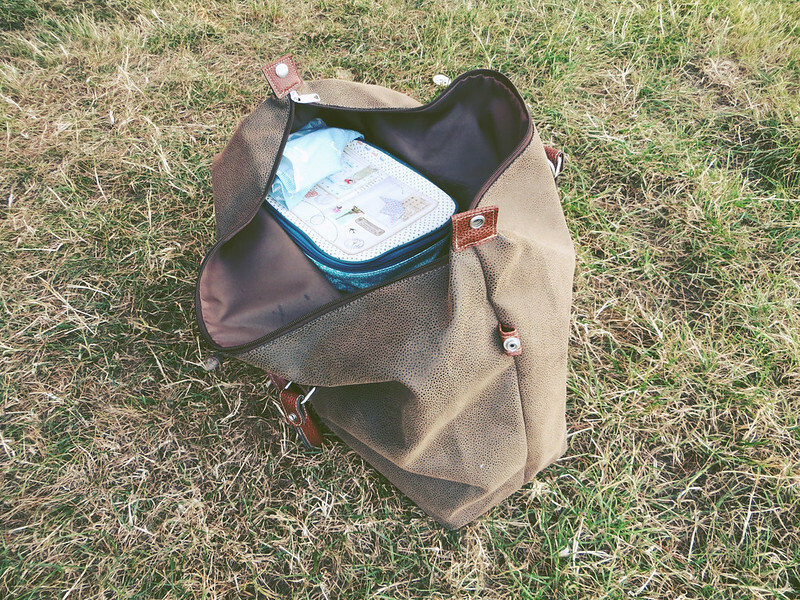 It will be perfect for my trips to London and weekends away, and it even recently came camping with us for a few days and was the perfect way to stow all my belongings (rather than spreading them around the whole van which I usually end up doing). 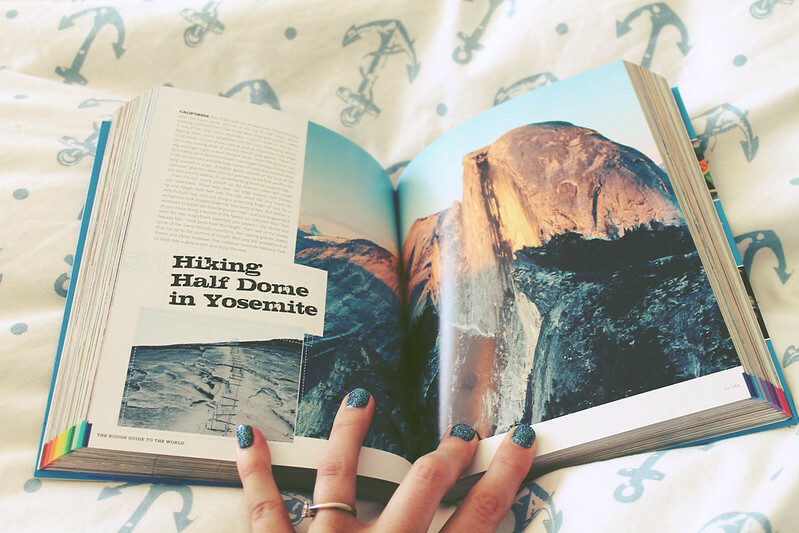 Are you a fan of travel and adventures? Where will your next adventure be?